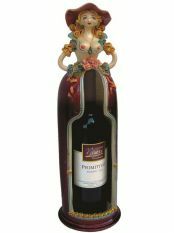 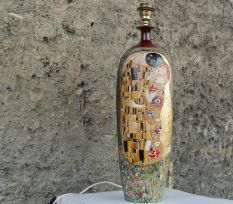 Ornamental vase in ceramic handcrafted on a lathe, painted and glazed glossy bordeaux. 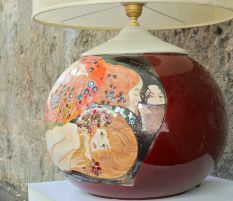 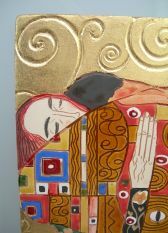 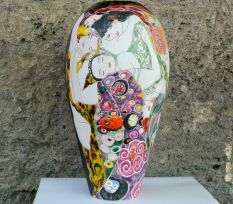 Made with mixed craft technique, it depicts the opera "Death and Life" by the artist Klimt. 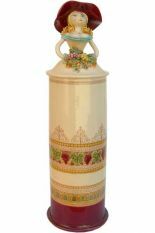 Elegant piece of furniture, it can be used simply as decoration or as sophisticated inner vase.